The version is currently set at 3.0-alpha1-dev. This may become the official XINS 3.0 release at some point, or (some or all) changes may go into an official XINS release. various libraries are updated, such as Saxon (from 8 to 9) , JUnit (from 3 to 4), Xerces, etc. This branch of XINS has been used in production for almost 3 years now, but you are not advised to use this code in production, as it has not gone through all the testing that is typically done for an official XINS release, across various platforms and Java versions. Also note that not all of the changes in XINS 2.2/2.3 have been incorporated (yet). 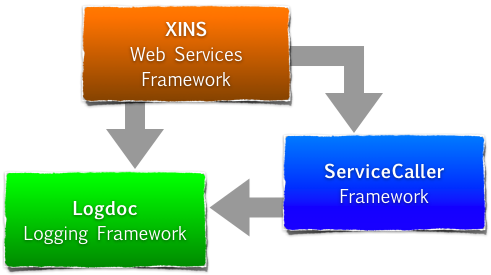 If you have any changes you would like to incorporate into (this branch of) XINS, fork the project at github. Using git, it is quite easy to merge different forks.